The Department of Asian Studies invites you to join us for a special lecture by guest speaker Michel Vieillard-Baron, Professor of Japanese Literature and Language, National Institute of Oriental Languages and Civilizations, Paris. The Saishōshi Tennō-in residence was built for retired Emperor Gotoba in 1207. The purpose of this lecture is to understand the aesthetic, symbolic and political issues of this structure, which combines architecture, religion, painting and poetry. First of all, we will recount in detail the genesis of the project, using mainly the Journal of the Harvest Moon, and the diary of Fujiwara no Teika, who was the main coordinator of the enterprise. Then, we will analyze some of the twenty-nine poems, which were actually written on the sliding doors of the Palace — the most official part of the residence — and in the private apartments where the retired emperor lived. 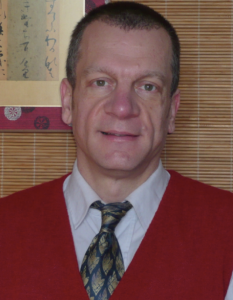 Michel Vieillard-Baron is Professor of Japanese Literature and Language at the National Institute of Oriental Languages and Civilizations (INALCO, Paris). He studied at the Paris-Diderot-Paris 7 University and Seikei University (Kichijÿji, Japan). He teaches pre-modern Literature and specializes in classical court poetry (waka). His research focuses on poetry and poetics of the twelfth and thirteenth century, especially on the poet Fujiwara no Teika (1162-1241).